This dual-monitor wall mount frees up space and creates a professional looking multi-monitor setup. Your two monitors move together to stay aligned. Simply extend the arm to place your monitors in the ideal position, or tuck them close to the wall when not in use. Plus, you can tilt, swivel and rotate your screens for optimal viewing. 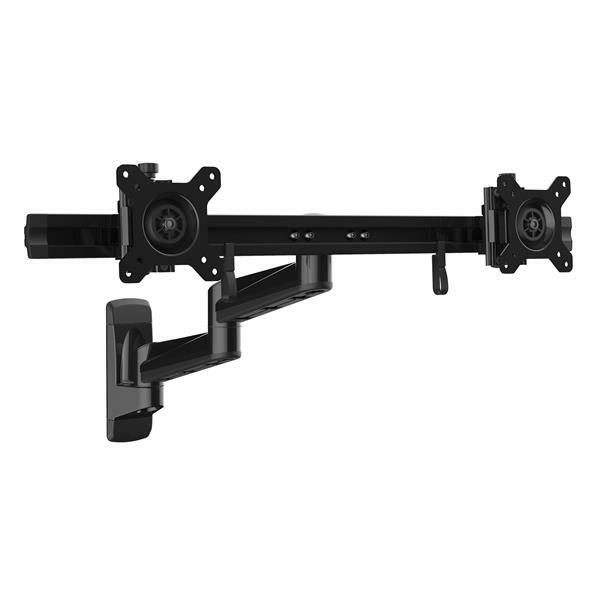 The dual-monitor wall mount makes it easy to set-up two monitors in a business, commercial or office environment such as a health care or financial center. Both monitors are mounted on a single arm, so they move together in perfect unison, staying aligned at all times. 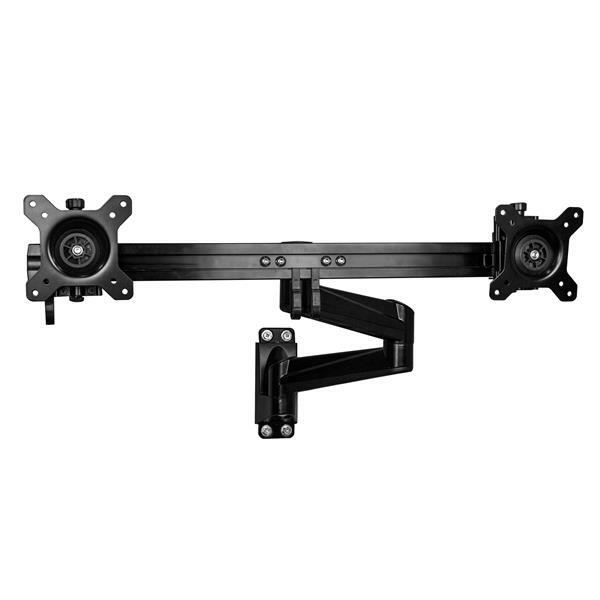 Using the mounting arm, you can extend your monitors up to 23" (585 mm) from the wall, so you can place your monitors for comfortable viewing. 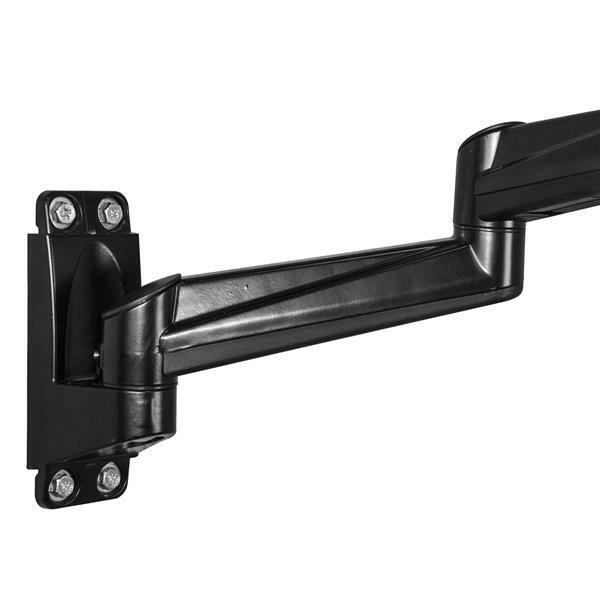 The arm also folds back in, so your monitors can be tucked just 6.5” (165 mm) from the wall when not in use, for a professional low-profile look. Change the position and angle of your screens for ideal viewing. 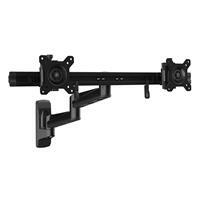 You can swivel your monitors up to 180°, and rotate up to 360° for landscape or portrait viewing. You can also tilt your monitors -15° to +15° to reduce glare and ensure a comfortable viewing position. 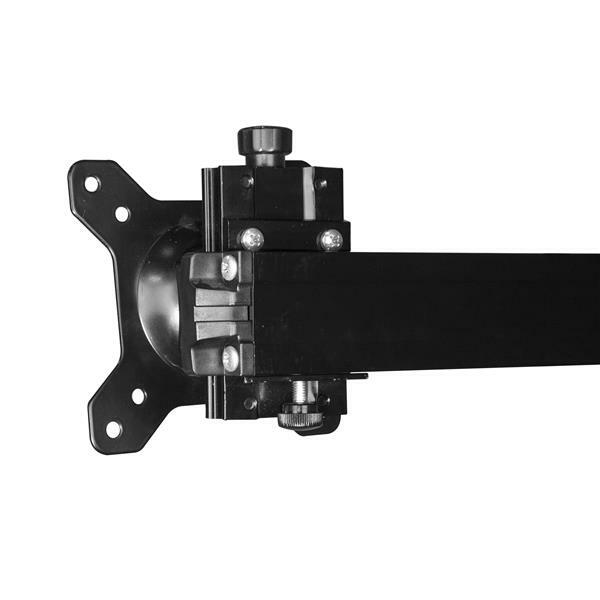 Made of steel, the dual-monitor wall mount securely supports two monitors, with a weight capacity of 11 lb. (5 kg) per monitor. It provides a stable setup for monitors up to 24”. The ARMDUALWALL is backed by a StarTech.com 5-year warranty and free lifetime technical support.